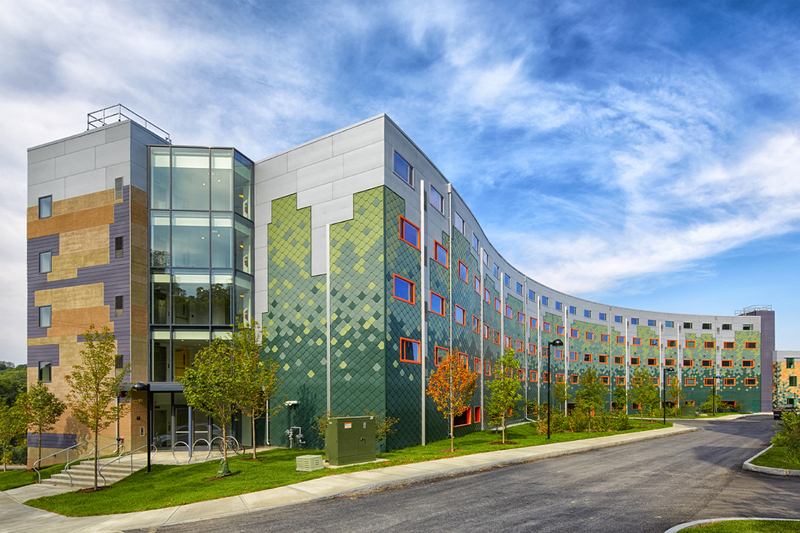 Collegetown Terrace is a new residential neighborhood in the City of Ithaca, NY. The project employs an innovative approach to smart growth, walkable communities, transit-oriented design and sustainable principles. Amenities distributed throughout the project are specifically designed to foster a sense of community among the residents. 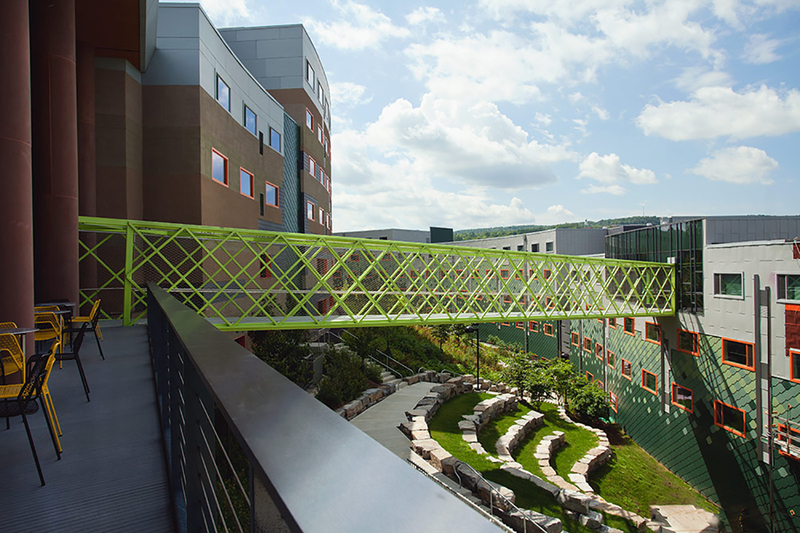 These include courtyards where pedestrians naturally linger, an attractive pedestrian circulation system, and green spaces at the edge of the gorge. Bicycle amenities, dedicated public transit stops, and artwork are integrated throughout. This unique project is set at the rim of Six Mile Creek Gorge, one of Ithaca’s defining natural features. 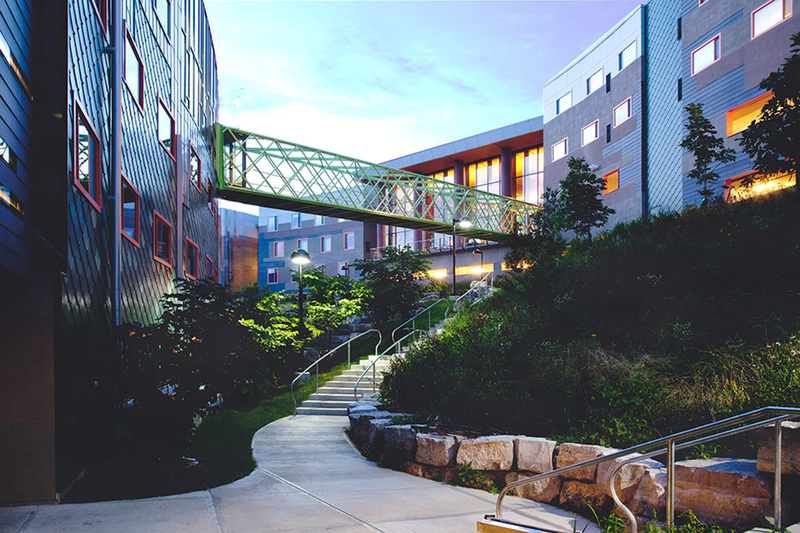 The juxtaposition of the gorge landscape and Ithaca’s urban environment has had a profound effect on the site’s planning; the concept for the site’s organization stems from these two influences. The landscape is reflected in the contoured buildings stepping down along the sloping rim of the gorge. Below them, parking is tucked into the slope, freeing the spaces between the buildings for other uses including landscaping, circulation, pedestrian amenities and outdoor access to all of the buildings. These sinuous, curving spaces are richly planted with native forest trees and native wildflower meadow understory. 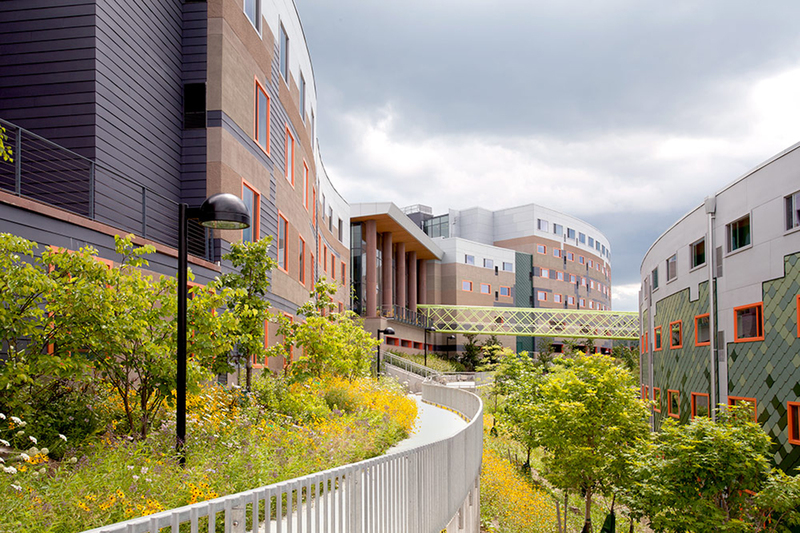 Sustainability features are incorporated throughout and include porous pavements, rain gardens, biofiltration, and low-mow meadow landscaping.